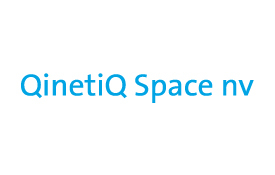 QinetiQ Space (formerly known as Verhaert Space), is the Belgian leading provider of Small Space Systems and has a 30 years of space record in building, launching and operating complex small space systems and satellites. In 2005 we were acquired by the QinetiQ Group, a large UK based defence technology and security company with about 10 000 staff. In 2007, QinetiQ Space expanded its activities to satellite operations. In a partnership with SES Astra Techcom, we won the ESA contract for the operation of the ESA Redu ground station for the next 10 years and created jointly the companies Redu Space Services (business development) and Redu Operations Services. Today, QinetiQ Space employs about 110 staff in Belgium (including Redu) with a turnover amounting to 23 M€. Furthermore, we manage as well the UK based space activities with another 60 staff. Our core expertise is “Small Space Systems Integration”, which we applied successfully as prime contractor for the European Space Agency in programs like the PROBA small satellites (three successful in orbit) and facilities for µ-Gravity research. In the UK, we are developing an advanced electrical propulsion system. QinetiQ Space its major customers are currently the European Space Agency and the larger European space integrators. For the future, we are targeting new customers worldwide who are looking for demanding small satellite solutions and subsystems. Like and follow us on Facebook.